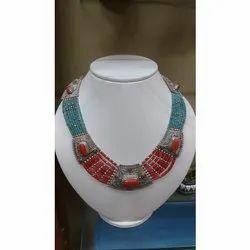 LE Coral & Turquoise Necklace, Size: 18-20"
Color: Turquoise, Red, Grey, etc. - Necklace Stone: authentic high-grade Red Coral, Cherry Quartz. - Necklace Inner Circumference (closed): 17 inches. 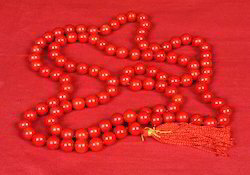 Beautiful red coral necklace_10 inch long. Suitable for all occasions. Riding on unfathomable volumes of industrial expertise, we are providing a broad array of Coral Beads Necklace. Our Coral Designer Necklaces are one of the most demanded products in the market. Our product is perfectly suitable for all kinds of festivity and functions. Our Coral Designer Necklace just enhance the beauty of any women who wears, all the more making it a benchmark style in any occasion.